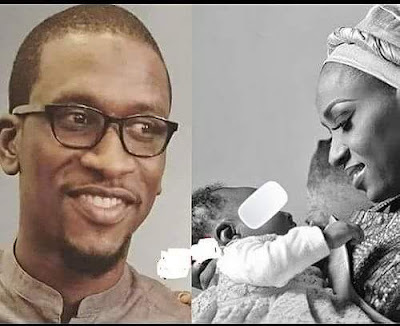 Bilyamin Muhammed Bello, the son of a former PDP chairman, Haliru Bello, died yesterday November 19th after he was stabbed by his wife, Maryam Sanda, at their Maitama, Abuja residence. Maryam, said to be the daughter of former Aso Savings boss, Hajia Maimuna Aliyu, stabbed Bilyamin three times in the back; and severally on his private parts during an altercation over his alleged infidelity. It was gathered that she saw a love message from another woman on his phone. After stabbing him, she drove him to the hospital where he was pronounced dead. He will be buried today according to Islamic rites. The Janaiza is after Zuhr prayer at National Mosque, Abuja.